The modern banking system is in doubt. Despite US$11 trillion (S$15.4 trillion) in quantitative easing since 2007, economic growth has been persistently sluggish. The money isn't going where it should be. Growing compliance costs and shrinking margins will push banks towards greater consolidation. Fewer banks mean less competition, potentially more fragility and therefore greater dependency on governments to underwrite their lending practices - which further distorts the financial system. This is all made worse by widespread uncertainty, which favours hedging activity versus real investment. Meanwhile, alternative banking and financial services operating on the FinTech frontier are chipping away at banking's traditional revenue streams. If banks are to survive, they will need to rethink the ways in which they acquire, transact and engage with customers. Acquiring new customers is key to growing new business for banks and stimulating the global economy. More than two billion people in the world remain unbanked or under-banked. This represents a lost opportunity. Without access to banking and financial services, these people are hard pressed to grow businesses and engage in new ventures. Banks have been reluctant to cater to this segment given the unknown risk profile, low income, limited wealth and geographic dispersion of their potential customers. They are simply too expensive to service. Information technology, big data and mobile penetration have changed everything. The reach and scalability necessary to service those at the bottom of the pyramid is now not only economically possible - but profitable. The market potential is huge, and it's not limited to emerging markets. There is significant latent demand in the advanced economies as well. Inclusivity is the next growth frontier in banking and finance. But by ignoring those neglected by the financial system, banks left room for tech companies to make financial inclusion a viable and sustainable business model. They've since innovated alternative, more efficient systems to provide banking and financial services at scale to the unbanked. 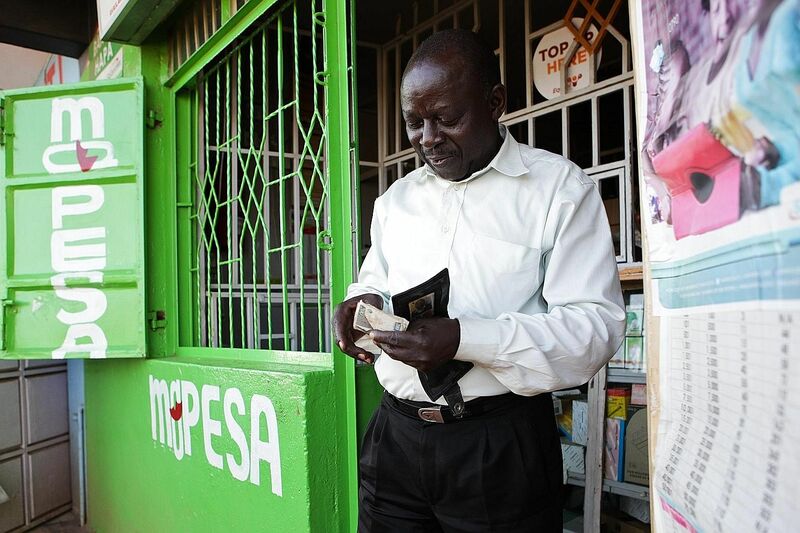 Starting with payments, they have moved into financial services like savings, loans, micro insurance and investments. Ant Financial, Lending Club and M-Pesa are just a few notable companies in this space. Global investment in FinTech has mushroomed in the past few years. Banks have taken notice, and are now vigorously acquiring FinTech start-ups to get in on the action. But this approach may not work for banks. Alternative banking and financial services have far fewer compliance obligations and lower operational costs because they do not operate on a traditional banking model. FinTech alternatives instead operate on small facilitation fees and volume, which would be insufficient to cover a bank's business costs. Inclusivity is the next growth frontier in banking and finance. But by ignoring those neglected by the financial system, banks left room for tech companies to make financial inclusion a viable business model. They've since innovated alternative, more efficient systems to provide banking and financial services at scale to the unbanked. Starting with payments, they have moved into financial services like savings, loans, micro insurance and investments. Banks also suffer from massive legacy systems that make it difficult to incorporate new technology into their infrastructure. Even if a bank acquires a FinTech company for its technology, it may lack the tools to quickly and successfully integrate that technology into its system. Although several large banks have invested billions of dollars in digital, they still lack the culture, speed and scalability that have made tech companies, such as Alipay, so successful. Internet companies in the social media, e-commerce and logistics space are much better poised to incorporate FinTech into their digital infrastructure. What's more, these companies already have millions of active users and are at an advantage in how they interact and engage with them. Internet companies are completely immersed in consumer lifestyles and can better understand customer context given the depth of their data. They're also well positioned for payments, peer-to-peer lending and integrating into new media and the sharing economy. There are thus hitherto unknown business models that could usurp traditional banking and finance in ways not yet imagined. The most exciting applications are found in FinTech platforms built on cryptocurrencies like bitcoin and other blockchain technologies. Blockchain is a new way to store and record transactions. It is like a traditional database but the blocks are linked cryptographically in order to make sure they are tamper-proof. Blockchain technologies operate on distributed peer-to-peer networks. These are open-access platforms with extraordinary potential to automate banking services while improving security and transparency. Cyptocurrencies can also be programmed to represent anything of value: a company share, tax credits, vouchers, cash, votes… whatever. Embedded instructions can be programmed to perform any transaction determining how, when and where the ransaction can take place. This has extraordinary implications for streamlining banking systems and easing compliance costs. Banks, however, have been reluctant to adopt technologies like bitcoin, given its nefarious press and association with illicit money transfers. Although this sentiment is changing, distributed ledger technologies and peer-to-peer lending is alien to the banks' middleman mentality and centralised nature. A distributed ledger allows people to produce a tamper-proof record of transactions that is public. The idea behind it is to get rid of the middleman. Attempts by more Wall Street- friendly Fintech firms to engage banks and other financial institutions with "permissioned blockchain" technology, which would establish a closed private network of distributed ledgers amongst banks, is interesting, but misses the point. Such a collaborative consortium would likely result in non-competitive behaviour, leading to even greater market consolidation. Blockchain adoption is more likely to originate in a decentralised trustless environment through the sharing of initially low value assets before scaling exponentially - not through a centralised financial market that transacts in high-value "smart" contracts, such as those from the derivative market. There is a lot of uncertainty here, and perhaps some overselling by blockchain advocates, but if the hype is to be believed, and the massive investments in FinTech pay off, the global financial system could become indistinguishable from the Internet itself: an open- access distributed network of computer systems built on communication protocols with no centralised ownership or governance. This level of democratisation could decouple the money supply from regulators - its fate thus influenced purely by market forces. • David Lee is Practice Professor of Quantitative Finance at the Lee Kong Chian School of Business at Singapore Management University and, Christopher Dula is Senior Case Writer at the Centre for Management Practice at Singapore Management University and a Contributing Writer for Asian Management Insights.